Golfbreaks.ie is part of the Skytours family of great value holiday brands. Skytours was founded in 1988 by John Bergin and is based in Dublin, Ireland. John its CEO is a keen golfer and together with his knowledgeable staff will strive to offer golfers across Ireland and Europe the best in golfing holidays. As a bonded company and member of IAGTO (3413), you can be safe in the knowledge that when you book your golf holiday with Golfbreaks.ie you are booking with professionals who know what you require for the perfect golfing experience. We are fully licenced # TA057. Great Choice – Golfbreaks.ie offer over 200 venues throughout Europe. We offer the best choice and value in the Irish market. Our golf breaks range from 5* resorts to self-catering apartments so whatever your requirements are we will tailor make a package to suit. Expert Advice – “Golf is our business” We have over 30 years’ experience in travel and because we know our golf and our staff play golf we plan to offer the best in golf breaks. 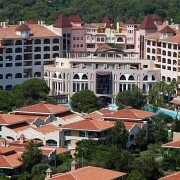 Call our team now and we will recommend the golf holiday for you. Great Value – Through our parent company Skytours Travel Ltd we have negotiated with our golf travel partners a large selection of great value golf breaks including special offers like reduced green fees, great group reductions and exclusive Golfbreaks.ie offers. So book with confidence with www.golfbreaks.ie, you will not be disappointed. 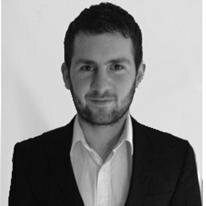 John plays his golf in Royal Dublin Golf Club and is a keen golfer with a current handicap of 8! 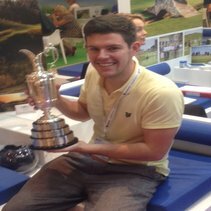 Ross is a huge golf enthusiast and plays out of Stackstown Golf Club with a current handicap of 6! 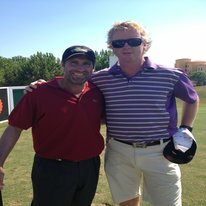 Michael is a golf nut that knows everything there is to know about the PGA and European Tours, he currently plays in Forrest Little Golf Club with a handicap of 5! Karl is an avid golfer, a member of Howth Golf Club since the age of 12 with a current handicap of 5 and has always worked in the golf industry.